At Monster Websites, we understand first-hand how small businesses can struggle with marketing execution, web development, and creating SEO strategies. Our founders have years of experience in SEO and web development – and together, they founded Monster Websites to provide small business owners with a better way to develop, advertise, and market their businesses. Creating and running a website is hard work. So why do it on your own? At Monster Websites, we focus on helping you create an effective, SEO-optimized website that’s perfect for your business – and taking the headache out of online marketing. With our unique, customer-focused approach and modern design strategies, we can create a beautiful, up-to-date website that is sure to help drive business to your company. Our dedication to our customers is what makes us who we are. We treat each of our customers with the respect they deserve, and focus on providing the very best services. We’ve never been fired by a client – and due to our unique approach, we don’t anticipate that happening any time soon! Our fully-managed services include; web design, copywriting, blogging, social media, PPC, SEO, email marketing and more within our innovative pay-as-you-grow program and all-you-can-eat support model, you get all the service you need at a reasonable price. And because we don’t require long-term contracts, you can try our services out for a low fee – and you’re free to cancel if we don’t meet your expectations!. Our value proposition is offering business owners something they understand right away which addresses a clear pain point for them. Our Journey – Who We Are Today! From our humble beginnings to our current status as a leading full-service web design, development, and management company, we’ve never lost sight of who we are. Since our business was founded, we’ve been dedicated to providing customer-focused web design services at a reasonable rate. Unlike the competition, we don’t “take the money and run” after we build your website. Your website needs care, attention, and updating – otherwise, it will become nearly useless after just a few years, and you will have wasted your investment. With our managed website program, we can take care of every aspect of administering, running, updating, and redesigning your website – all for a low monthly fee! By doing so, we ensure that your website is truly an investment that will pay off for years – or decades – to come! A business has a very small initial investment to get started with our Managed Monster Sites Program, and one crazy low monthly fee, we give you everything you need from a fully responsive site to secure hosting to unlimited updates and access to us for making your online presence grow with little to no attention needed by the business. We do everything the business needs for it’s online presence beginning to end, start to finish. We are not a DIY website company and deliver a site to get old and stale. We’re a member of the businesses team. So we take ownership as most employees should. We have never been fired and don’t anticipate it ever happening. So needless to say, business owners love this approach. See The Monster Websites Difference. Contact Us Today! 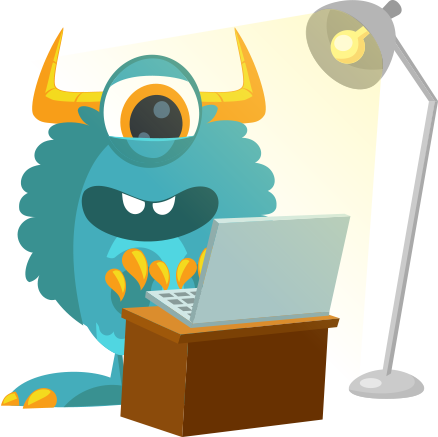 When you choose Monster Websites as your managed web partner, you get a true dedication to customer service. We monitor your website, and take our own initiatives to grow your online presence! Whether you wish to be intimately involved in the process – or prefer a more hands-off approach – we can help. Even with over 1000 active customers, our dedication to each one of our clients remains as strong as ever. When you partner with Monster Websites, you don’t have to worry about updating your website, creating content, or designing an SEO/SEM strategy. We take care of everything – so that you can focus on growing and managing your business. And with no long-term contracts or commitments, there’s no risk! So don’t wait. Revolutionize the way your company does business – by partnering with Monster Websites today!